This article provides a guide for factory owners and IT managers about the principles of lean manufacturing and the criteria to apply, in order to constantly work at optimizing factory outputs, and source the most cost-effective technology while reducing waste at the same time. What are the main types of benefits offered by technology suppliers? How can Industry 4.0 concepts help with Lean Manufacturing? Many factory owners and manufacturers are faced with the challenge of transforming their factories from Industry 2.0 to Industry 4.0 smart factories in order to optimize operational efficiency and automation and to stay ahead in the competitive manufacturing space. Certain customers may require additional customization of products and faster output times, which factories also have to take into account. A large part of optimization involves leveraging and implementing new technology such as IoT architecture and Industry 4.0 systems while reducing waste. Implementing new technology in a factory can be quite an undertaking, and it is advisable for factory owners and manufacturers to avoid costly technology investments which yield no net benefit to the factory at hand. During the previous decade, many factory owners moved to automation due to the benefits and gains such as higher accuracy, higher productivity, job scheduling ability and availability that increased mechanization offered. They often heard the phrase and the principle of “no islands of automation” that meant they were to avoid automated sub-systems that were not integrated into the overall factory processes and automation and thus provided no benefit to the larger systems in the factory. The aim was to have complete, integrated production and assembly lines that manufactured products seamlessly and without lag time. Automation in and of itself had a significant effect on the factory floor and factory owners experienced an increase in productivity and a decrease in downtime and lag time. Now those same factory owners are hearing, “no island without a cloud”, since there is a push from IoT companies to promote cloud-based connectivity and solutions and store all the data the factory at hand is generating, in the cloud. 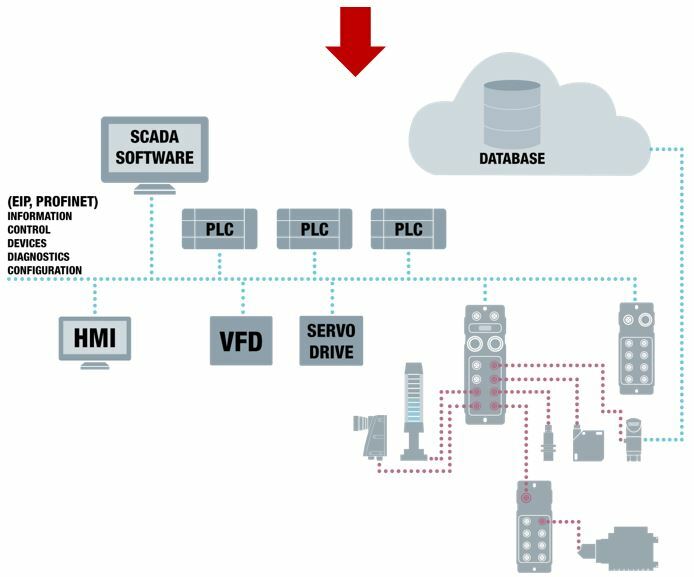 The industrial sector is approaching standard cloud-based solutions with caution since there are concerns about the security of data, cost, bandwidth and latency. Even though the cloud does confer benefits to the Manufacturing Execution System (MES). Newer, emerging approaches are looking at using open standards such as OPC UA to control any machine in real-time and implementing machine to machine communication to reduce data storage requirements. The data is then collected and sent to a fog computer or processed at the edge closer to where the machines actually are located, to reduce the concerns with the standard cloud options such as cost and security. Data-driven plant performance optimization refers to collecting and using data generated by the factory machinery, sensors, HMIs, PLCs, staff and SCADA systems in order to enhance plant operations and processes. The data cycle for plant optimization involves recording and monitoring data, uploading data, analysis of the uploaded data and the reporting of this data using IoT gateways and IoT architecture in the Industry 4.0 context. This optimization should strive to maintain Overall Equipment Effectiveness (OEE), which is a measure of how effective the plant and its industrial equipment are. A process that receives a 100% OEE score means that it has a high-quality output that is as efficient as possible with no machine downtime. Data-Driven Inventory Optimization refers to the process of using real-time data to manage inventory. For example, consider a construction industry scenario where units of supply are labelled with RFID tags and an IoT system can count them. As soon as the supply units drop below a certain level, the sensors trigger an alarm and more supply units are purchased. Consequently, downtime is avoided and the project is more likely to be completed in the scheduled time frame. Due to the ability of IoT systems to collect and manage big data, the IT provider should provide software that is able to develop quality-control models and profiles based on the data. Therefore, each product can be compared in real-time to these profiles (which were based on thousands or hundreds of thousands of data samples) and either rejected or accepted. This model allows factory owners to turn their machines into stand-alone income generating streams, in addition to the revenue the machine generates from being part of the internal factory processes and production line. So in this model, a specific machine in the factory can be outsourced to a customer or another company that needs it for a set amount of time, and this customer can, through the IoT platform, receive real-time data about the products or services for which they are using that particular machine. A technology supplier should be able to provide HMIs or other systems that enable this multifunctionality. So the factory should be able to receive data about the internal processes the machine is part of and the company hiring the machine should also be able to receive data about the machine and its outputs relevant to their needs. The Human Data Interface refers to the platform used for humans to engage with the data, this could be via calls to a database, an HMI, or even a smartphone. The technology provider at hand should provide an interface that allows personnel to engage with the data and draw insights from it. Predictive maintenance refers to the use of data generated by a certain machine, in order to predict the chances of failure of that specific machine before the actual failure takes place. The maintenance of the machine then takes place proactively rather than reactively. This reduces downtime significantly. Remote service refers to the ability to remotely monitor or repair machinery. This allows repair and maintenance to take place from anywhere and saves the factory owner the cost of transporting machinery to a repair site to be fixed. Virtual training refers to training that is provided in a virtual capacity through the use of AI glasses. So, personnel can access this training and learn more about the factory processes in an online environment. Validation refers to the ability of the IoT system to check that the training received was actually beneficial to the staff and the factory. This is done by using sensors to compare the finished products of the factory before and after the completion of training, in order to see if there is a positive difference. Validation also involves using AI glasses to see if the staff member is actually implementing the training received on the shop floor. Lean manufacturing is based on the concept of eliminating waste from factory processes while ensuring that the customer or client receives the maximum value. Lean manufacturing looks at optimizing the delivery of products in horizontal value streams that ultimately connect to customers. It is about evaluating what is adding value to the customer versus what is adding waste or is not beneficial to the factory. The first principle involves identifying what value actually means to the customer, which will help the factory estimate how much the customer will be willing to pay for their products and services. If waste is removed, then the customer’s price can be met at the best profit margins for the company. The second principle involves mapping the value stream, which means looking at the flow of input materials required to produce the product in its entirety. Emphasis is of course placed on reducing waste. The third principle looks at removing operational barriers and interruptions to this flow. The fourth principle looks at using a pull system where nothing is bought until there is a demand for it. The pull system is based on effective communication and flexibility. The fifth principle looks at continuously improving and striving for perfection in the process. Lean manufacturing principles can be beneficial for factory owners since they can be used as a technology filter or criteria in order to ensure that any technology implemented in the factory contributes to the reduction of waste and horizontal value streams. The technology in other words should contribute to the reduction of waste, the reduction in standing inventory, increased factory outputs, decreased production costs, and increased labour productivity. Data-Driven Plant Performance as discussed above refers to the use of data in real-time to increase production. This happens simultaneously while using the data to identify areas of waste and unproductivity. Data-driven plant performance contributes significantly to all the five main lean manufacturing principles since customers receive value, the mapping of the value chains are guided by actual data received in real-time, and the data helps identify the barriers such as when there is downtime and which machine/process is causing the downtime, so this can be instantly rectified. Additionally, since there is constant delivery of data from multiple sources in the factory to the staff and personnel of the factory – they can develop pull systems due to the ease of communication and the constant analytical processing of the data. Furthermore, the continuous development of useful models based on big data and real-time data allows for continuous improvement. Data-driven quality control as mentioned above looks at comparing a sample or material to a profile developed from big data rather than conducting many expensive quality-control tests on every single sample in the production line. This fits in with the concept of lean manufacturing since the number of tests is reduced but quality control is maintained. Virtual training and validation look at providing training in virtual environments using AI glasses and validating through the use of AI glasses that the training was beneficial, effective and actually implemented. One of the main aspects of lean manufacturing focuses on training staff about lean principles in the factory since staff are a critical component in any factory environment. Therefore, through the use of AI glasses, staff can be trained and guided on lean manufacturing principles in the factory environment they are operating in. Additionally, the AI glasses can validate that staff actually are implementing the training they received in the factory. Consequently, the lean manufacturing concepts of waste reduction and optimization of product delivery will be felt throughout the factory as a result of both virtual training and validation. Industry 4.0 concepts such as connecting multiple machines, machine-to-machine communication, human-machine communication, real-time data delivery, big data processing and analytical operations really tie in with the fourth principle of lean manufacturing. Most manufacturers not using lean manufacturing principles rely on a push system which is based on standard forecasting techniques. Production is aligned to those pre-determined set forecasts. This can be problematic since some standard forecasting techniques are inaccurate, increase waste and are not effective. The lean manufacturing pull principle of not producing anything until there is a demand relies heavily on effective communication. With the correct choice of Industry 4.0 technology, this effective communication system can be developed and thus reduce waste and optimize overall factory efficiency. CMA/Flodyne/Hydradyne is an authorized Exor distributor in Illinois, Wisconsin, Iowa and Northern Indiana. Machine tools are rightly considered to be technology carriers and trailblazers for other industries in mechanical engineering. They frequently are the first to try new technologies and optimize existing ones. For this reason, machinery users expect every new piece of equipment to increase productivity. The users of machine tools face global competition. When they invest in new machines, they generally have two main issues in mind: cycle times per processing step and throughput times for the completely processed component. At the same time, they continue to increase their requirements for surface quality and tolerances. Machine tool makers respond with higher dynamics in all movements and the integration of additional processing technologies. Increasing numbers of sensors are now monitoring the processing job to create reproducible quality. These three trends – more speed, more completeness and more precision – place increasing demands on the control system. Every gain in speed requires shorter control cycles. The CNC control unit must provide additional capacities to integrate additional processing stations and technologies. At the same time, data transmissions in a machine are rising inordinately because of the sensors. In this regard, Bosch Rexroth has significantly raised the bar with its new generation of the CNC system MTX. The smallest version is a compact solution for up to 12 axes. The highest performance level extends all the way to 250 axes with a hardware control system. In the controllers, high-performance, multi-core processors intelligently assign the different tasks for CNC, PLC and communications. Fluctuating processor utilization levels that vary based on the configuration for the application remain non-reactive and ensure constant overall performance. This is important because the CNC system solution provides the shortest PLC and CNC cycle times even as the number of axes rises, even for high-speed processing. In the process, machine manufacturers can significantly increase the dynamics of their products. At the same time, more and more users, particularly automotive industry suppliers, are investing in production lines for complete processing. To reduce wrapping and handling times, they are looking for multi-technology solutions. For this reason, machine manufacturers are increasingly combining classic processes like drilling, milling and grinding into one system. They are also increasingly adding non-cutting technologies like laser cutting and welding or additive processes. The printed components are given their final shape in subsequent processing. These technologies are sometimes very computationally intensive. They are also done simultaneously with other processing steps. The idea of offsetting these performance peaks by using separate control systems with a machine’s own hardware significantly increases the complexity of automation. The MTX offers sufficient power reserves here to display all currently known uses on hardware. This is also the case for the automation of machine tools. A number of manufacturers have said that between 50 percent and 80 of all machines they deliver have integrated loading and unloading systems. The MTX also takes on this task. While these trends move forward, machine manufacturers are also increasingly adding more and more sensors. These data support process optimization and monitor the processing in situ. With fast I/O, the MTX ensures that the sensor data are transferred and analyzed in real time. In the process, it lays the foundation for short control cycles that measurably increase the precision of processing and surface quality. In short: To achieve the classic qualities of increased productivity, all roads lead to higher-performance CNC system solutions. The MTX currently offers the highest computing capacity and system capability for rising demands by offering increased dynamics, technology combinations and amount of sensors. CMA/Flodyne/Hydradyne is an authorized Bosch Rexroth distributor in Illinois, Wisconsin, Iowa and Northern Indiana. You think that drives for potentially explosive areas are complex to implement or technologically suboptimal? In this way you simplify your engineering and play in the first league on the automation side. Are you automating in potentially explosive areas and tired of having to make compromises when choosing a drive solution? Regarding performance, intelligence, connection technology, …? In fact, it has not been easy to combine explosion protection, modern servo technology and efficient engineering. The common practice, including the declaration of conformity for the acceptance, is tedious and time-consuming. Especially if you have to design, have certified and apply a special enclosure for a non-ex motor. How much easier would it be if you could simply select a ready-to-install ATEX servo motor with declaration of conformity and the latest technology and immediately concentrate on the essential machine or plant construction? That’s exactly what you can do now. Bosch Rexroth has developed the first ATEX-certified servo motor with single-cable connection in order to merge modern features such as high drive performance, simple integration into the machine, safety-on-board and i4.0 features into a complete solution. The new MS2E series is based on the MS2N standard series in terms of design and therefore achieves the same optimum values in terms of dynamics, precision and connectivity. It is also suitable for all ATEX applications up to device group II and device category 3 for gas (zone 2) and dust (zone 22). In practice, this means that an MS2E engine remains safe even if other safety-relevant or safety-specific components fail. If, for example, a combustible atmosphere is created due to a defective extraction unit, this cannot be ignited by the engine. Because time is money and errors cost time and money, the design within the IndraSize engineering tool is based on a virtually exact engine model. The result: the design of the MS2E corresponds exactly to the real operation. Do you want even more efficiency? With SafeMotion applications, you achieve the greatest possible machine safety thanks to high-resolution 20-bit single or multiturn encoders in SIL2 PLd. Additional practical options include holding brakes or shafts with feather keyway. Without the right power density, an ATEX-certified engine is only half the fun. For this reason, Bosch Rexroth pays special attention to compact design. The extremely high torque density of the MS2E motors is up to 30 percent higher than that of the predecessor series – a new motor design with optimized electromagnetic design makes this possible. 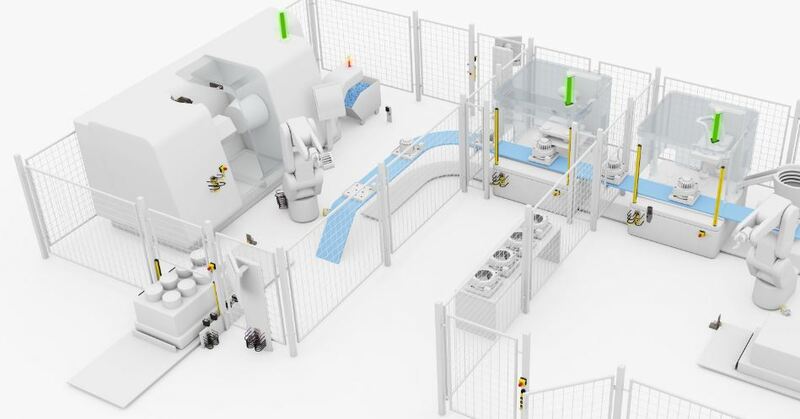 As a machine manufacturer, you benefit in two ways: You can solve your existing drive tasks with smaller motors and achieve more performance with the specified installation space. For the purpose of such downsizing, the self-cooled MS2E motors are available in five sizes with overlapping torque ranges up to a maximum of 119 Nm, each with up to five times the overload capacity and consistently low rotor inertia. What does this mean for your application? Full of dynamics and performance. A further plus point: because high-quality materials and optimized winding technology reduce internal losses, you can also work at higher speeds in continuous operation. As a result, you achieve significantly improved energy efficiency with sustainably reduced operating costs. You can use a real novelty in the Ex area if you use the characteristic single cable connection of the MS2E. The advantage: you need much less material as well as plug-in points and space in the cable duct. Fewer cables and interfaces also mean faster and more cost-effective assembly and installation. This reduces your costs and increases productivity – especially in applications with drag chains. Because they become lighter, you can drive at higher speeds. If you also want to implement industrial 4.0 applications in potentially explosive areas cost-effectively and without additional components, you will be particularly pleased about this feature: As with the MS2N series, the MS2E can also be used as a sensor and data source. With a view to future requirements – keyword factory of the future – expand your intelligence in this way up to the engine. The individual measured values including saturation and temperature data are stored in the motor data memory and thus form the basis for various i4.0 applications. Because the IndraDrive controllers also access the data and process it in real time, you benefit from an additional increase in torque accuracy during operation, while the tolerance range is reduced to a fraction of the previously usual values. With the new ATEX motor MS2E, you have a solution: you guarantee maximum safety and play in the top league on the drive side, even in potentially explosive areas – in terms of power density, functionality and engineering. Together with the flameproof encapsulated MKE motor series, you now have a stringent overall portfolio at your disposal with which you can quickly implement your ideas – with identical performance and up to Zone 1. Interested? Learn more. Zero downtime. This is the mantra of the food and beverage manufacturer today. The need to operate machinery at its fullest potential and then increase the machines’ capability is where the demands of food and beverage manufacturers is at today. This demand is being driven by smaller purchase orders and production runs due to e-commerce ordering, package size variations and the need for manufacturers to be more competitive by being flexible. IO-Link is a smart, easy and universal way to connect devices into your controls network. The advantage of IO-Link is that it allows you to connect to EtherNet/IP, CC-Link & CC-LinkIE Field, Profinet & Profibus and EtherCAT & TCP/IP regardless of the brand of PLC. IO-Link also allows you to connect analog devices by eliminating traditional analog wiring and provides values in actual engineering units without scaling back at the PLC processor. Being smart, easy and universal, IO-Link helps simplify controls architecture and provides visibility down to the sensor and device. This makes it the backbone of the Smart Factory as shown in the graphic below. CMA/Flodyne/Hydradyne is an authorized Balluff distributor in Illinois, Wisconsin, Iowa and Northern Indiana. Manufacturing is rapidly changing, driven by trends such as low volume/high mix, shorter life cycles, changing labor dynamics and other global factors. One way industry is responding to these trends is by changing the way humans and machines safely work together, enabled by updated standards and new technologies including safety communications. In the past, safety systems utilized hard-wired connections, often resulting in long cable runs, large wire bundles, difficult troubleshooting and inflexible designs. The more recent shift to safety networks addresses these issues and allows fast, secure and reliable communications between the various components in a safety control system. Another benefit of these communications systems is that they are key elements in implementing the Industrial Internet of Things (IIoT) and Industry 4.0 solutions. Within a typical factory, there are three or more communications levels, including an Enterprise level (Ethernet), a Control level (Ethernet based industrial protocol) and a Device/sensor level (various technologies). The popularity of control and device level industrial communications for standard control systems has led to strong demand for similar safety communications solutions. These Ethernet-based safety protocols are high speed, can carry fairly large amounts of information and are excellent for exchanging data between higher level devices such as safety PLCs, drives, CNCs, HMIs, motion controllers, remote safety I/O and advanced safety devices. Ethernet is familiar to most customers, and these protocols are open and supported by many vendors and device suppliers – customers can create systems utilizing products from multiple suppliers. One drawback, however, is that devices compatible with one protocol are not compatible with other protocols, requiring vendors to offer multiple communication connection options for their devices. Other drawbacks include the high cost to connect, the need to use one IP address per connected device and strong influence by a single supplier over some protocols. Device level safety protocols are fairly new and less common, and realize many of the same benefits as the Ethernet-based safety protocols while addressing some of the drawbacks. As with Ethernet protocols, a wide variety of safety devices can be connected (often from a range of suppliers), wiring and troubleshooting are simplified, and more data can be gathered than with hard wiring. The disadvantages are that they are usually slower, carry much less data and cover shorter distances than Ethernet protocols. On the other hand, device connections are physically smaller, much less expensive and do not use up IP addresses, allowing the integration into small, low cost devices including E-stops, safety switches, inductive safety sensors and simple safety light curtains. * Safety Over IO-Link is the first implementation of safety and IO-Link. The specification for IO-Link Safety was released recently and devices are not yet available. Many users are realizing that neither an Ethernet-based safety protocol, nor a device level safety protocol can meet all their needs, especially if they are trying to implement a cost-effective, comprehensive safety solution which can also support their IIoT needs. This is where a safety communications master (or bridge) comes in – it can connect a device level safety protocol to a control level safety protocol, allowing low cost sensor connection and data gathering at the device level, and transmission of this data to the higher-level communications and control system. An example of this architecture is Safety Over IO-Link on PROFISafe/PROFINET. Devices such as safety light curtains, E-stops and safety switches are connected to a “Safety Hub” which has implemented the Safety Over IO-Link protocol. This hub communicates via a “black channel” over a PROFINET/IO-Link Master to a PROFISafe PLC. The safety device connections are very simple and inexpensive (off the shelf cables & standard M12 connectors), and the more expensive (and more capable) Ethernet (PROFINET/PROFISafe) connections are only made where they are needed: at the masters, PLCs and other control level devices. And an added benefit is that standard and safety sensors can both connect through the PROFINET/IO-Link Master, simplifying the device level architecture. 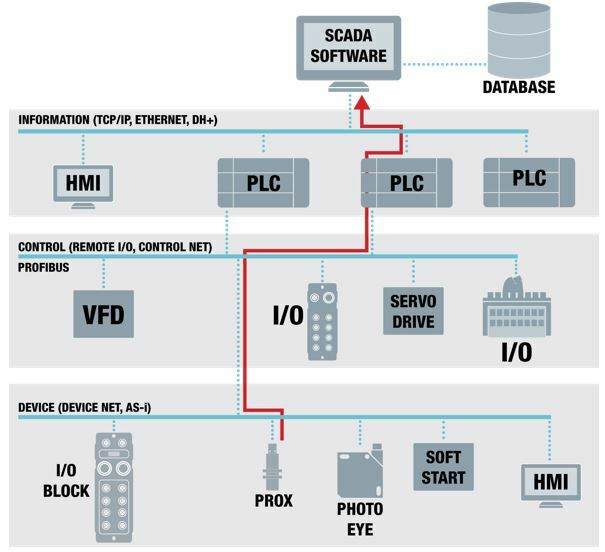 Combining device level and control level protocols helps users optimize their safety communications solutions, balancing cost, data and speed requirements, and allows IIoT data to be gathered and distributed upwards to control and MES systems. An arc flash analysis quantifies incident energy to better protect against an arc flash hazard. The latest updates to the Institute of Electrical and Electronics Engineers (IEEE) Std 1584TM 2018 Guide for Performing Arc Flash Calculations have made significant strides toward furthering electrical safety. The Guide, a widely accepted method for performing arc flash hazard calculations, is now backed by nearly 2000 additional tests — more than any other method — to provide the information necessary to complete an arc flash risk assessment. Of course, arc flash analysis is never an exact science and, the use of IEEE 1584 is not mandatory. But I strongly recommend electrical engineers embrace the new version of IEEE 1584, as its formulas and mathematical models are based on a multitude of varied field conditions and the most up-to-date science. Consultants and electrical engineers have been using IEEE 1584 to calculate incident energy since the Guide’s inception in 2002. Many engineers have a comfort level with the 2002 version of the Guide and are very accustomed to its calculation methodologies, so they may have reservations about the 2018 version. Further, some professionals are beginning to raise questions as they apply the 2018 version in real-world scenarios. Let’s take the new addition of electrode configuration as an example. Engineers have begun applying this aspect of the Guide on new projects, as data and equipment details are more likely available to meet the parameter needs of equations. However, these professionals question whether they have the same level of clarity for older systems and existing projects. In these cases, electrode configurations and box dimensions may be unclear or very difficult to ascertain, making the implementation of the 2018 version questionable for existing systems. Some engineers have indicated they would revert to the 2002 version in such instances. Situations vary, so toggling between the 2002 and 2018 calculations may sometimes seem logical, but in practice, doing so creates confusion. At Eaton, we think it is important to eliminate that confusion. Our mission is to help professionals adopt the 2018 Guide and increase confidence in their data and calculation results. Today, my engineering colleagues at Eaton use updated IEEE 1584 equations to model electrical systems and perform sample calculations to define the differences between the 2002 and 2018 versions. Our mission is to help consultants and electrical engineers understand and adopt the 2018 Guide and increase confidence in their data and calculation results. With each new power distribution system model, we gain a better understanding of the increases and decreases of incident energy value applications calculated from the 2002 version and recommend how to apply the updated Guide moving forward. Three additional electrode configurations — vertical electrodes (metal box with an insulating barrier (VCBB)), horizontal electrodes (metal box (HCB)) and horizontal electrodes (open air (HOA)) — represent perhaps the most significant changes to the Guide. Generally, the horizontal electrode configurations result in higher calculated incident energy than the vertical configurations. The Guide now accounts for engineered electrical assemblies and tests to North American ANSI/IEEE Standards and those in other world regions thanks to higher calculated arcing current values in the 2018 version. We also see an increase in incident energy values. We believe one of the reasons this occurs is because the 2018 update offers more selection options for phase conductor spacing. Additional options for enclosure size are now available, allowing for more accurate modeling based on actual equipment conditions. In most cases, larger enclosures result in slightly lower incident energies as plasma arc events partially dissipate in voluminous enclosures. Higher arcing currents calculated using the 2018 Guide could be offset by faster clearing times of the overcurrent protective device (OCPD). Higher currents mean a better chance that protective devices will operate in the instantaneous region and result in faster clearing times. This may offer lower calculated incident energies than the 2002 version, which has a lower arcing current but a longer clearing time. Engineers should pay close attention to time-current characteristic (TCC) curves and work to understand relationships between arcing currents and clearing times based on protective device selection and the many settings available. The 2018 Guide is not definitive in suggesting a 240V low-end threshold for system analysis, stating only that sustainable arcs are less likely but possible in systems with available short circuit currents of 2000A or less. The former Guide defined a low-end for analysis stating that equipment below 240V not be considered unless it involves at least one 125kVA transformer or larger. There is a gap in the methodology used to establish bus configurations for equipment. Clarity and direction should be provided in an application-style guide to help manufacturers and power system engineers understand configurations that apply to diverse electrical components and assemblies. If you’ve changed your OCPD, its settings, or are approaching the five-year update threshold mandated by National Fire Protection Association (NFPA) 70E Section 130.5(G), calculating incident energy based on IEEE 1584 makes great sense because its models are based on the most current data available. Higher incident energy calculations should cause users to look for alternative methods of reducing arc flash risk. We’ve determined that some IEEE 1584 calculated incident energies are higher. As a result, engineering controls such as arc reduction maintenance switches and arc quenching technologies will mitigate the risk of increased arc flash energies. Design engineers should take it upon themselves to understand the options of engineering controls to reduce or eliminate the risk of arc flash events. CMA/Flodyne/Hydradyne is an authorized Eaton Electrical distributor in Illinois, Wisconsin, Iowa and Northern Indiana.